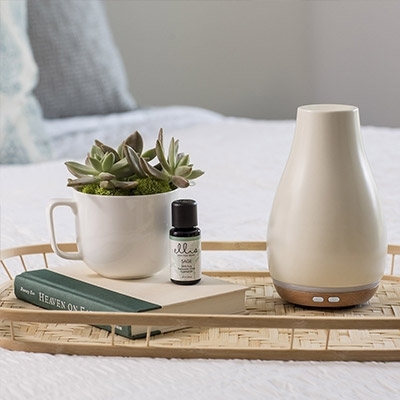 With its delicate, teardrop-shaped design, the Ellia Gather Ultrasonic Essential Oil Diffuser makes a perfect accessory for any room. 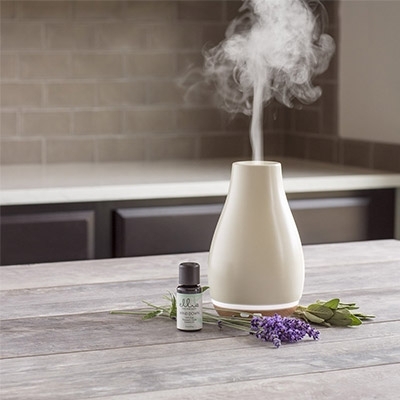 Consciously crafted from ceramic and wood, it gently lifts the scent of your favorite essential oils into the air to transform the mood of your space. The Blossom Diffuser delivers up to 6 hours of continuous runtime. It features a color-changing light and an Essential Oil Starter Kit with three samples. 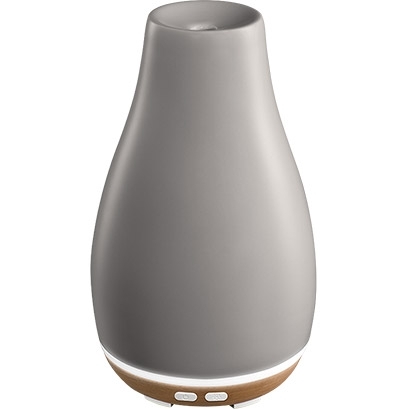 The Ellia Blossom diffuser features up to 6 hours continuous mist or 12 hours intermittent mist. Features a color-changing light to soothe your senses and enhance relaxation.